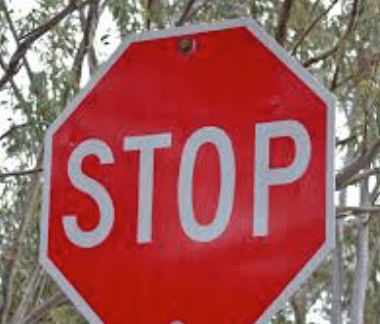 Does the left hand know what the right is doing? …the two emails were from the same charity. One Email was announcing current events of the organisation. The second was a request for me to become a member. Even more interesting is the fact I have not heard from this organisation since July 2015. Now I have heard from them twice in one day, twice in one hour, and twice..asking me to come to an event AND to join/renew as a member. When I received the two Emails, I believed the Emails were duplicate until I read them a bit closer. Once I realised these were not duplicate Emails, I asked whether the left hand knows what the right hand is doing? Perhaps, worse, maybe the two Emails were generated by the same party or department? No one knows. At the end of the day, is this best practice? 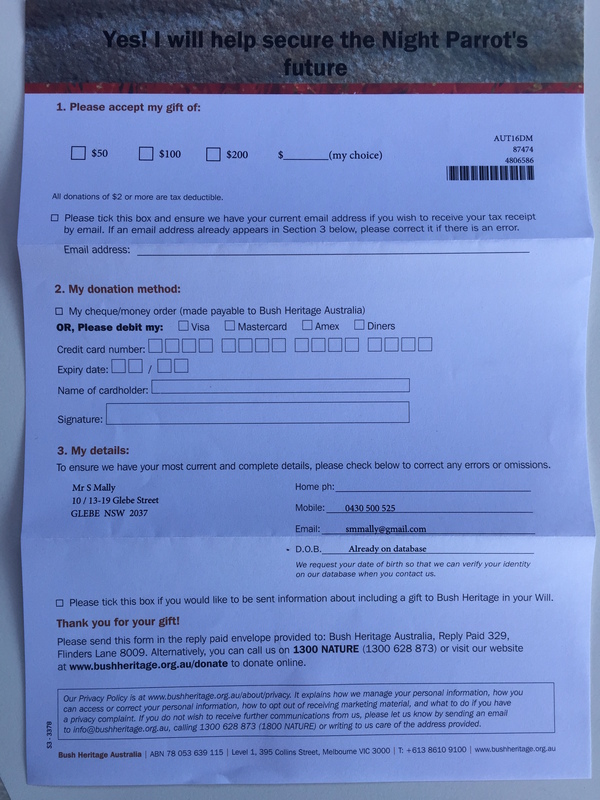 I received Bush Heritage Australia’s (BHA) latest appeal this week. BHA always have pleasant looking packages and I was most impressed with the appeal’s response device. I often times blog about the need to confirm, edit and enhance. When in contact with a supporter, nonprofit organisations must – confirm their contact details; edit erroneous contact details; and, enhance their record by seeking missing details. In this appeal, BHA have asked for my home phone, mobile, Email and date of birth. BHA have also filled in any details already known, which in my case includes my mobile, Email and date of birth. This prevents me from having to give the details again (nothing is more annoying) AND it allows me simply to confirm or edit anything wrong. Notice BHA have placed “already on database” instead of putting my actual birthdate on the date of birth line. You might wonder why? I thought it was a clever way to perhaps not offend some or even alarm others by putting the actual date on the piece. Perhaps I am wrong? BHA often have best practices in place. This response device is no exception. What do you ask for on your response devices? How do you confirm, edit and enhance? 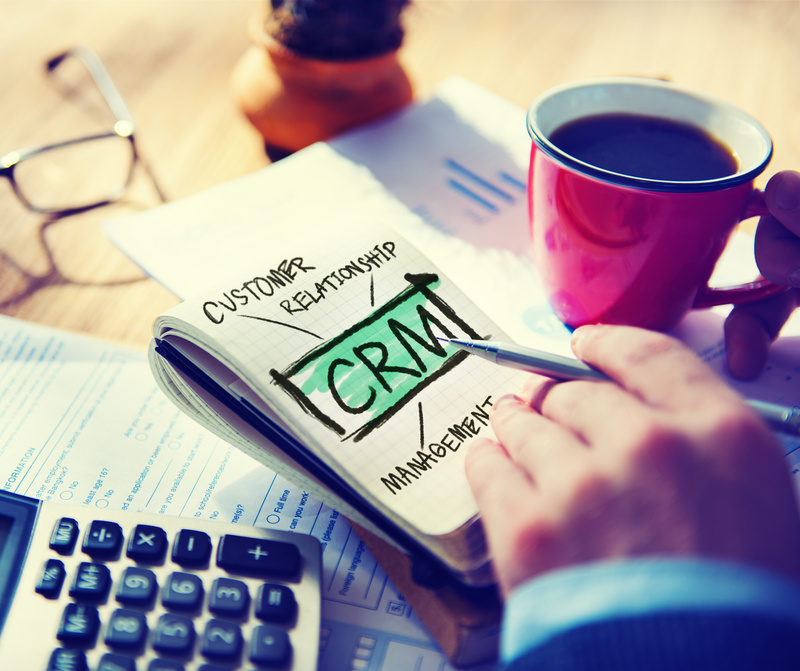 Your customer relationship management (CRM) system is often the victim – unfairly blamed because of other poor practices across the charitable organisation. “Salesforce is a mess” or “that data is wrong in The Raiser’s Edge”. CRM searches often cause an organisation to realise a need to improve internal processes and, sometimes, prove the database is not the issue at all – it is the fault of bad data entry, little or no oversight, and, often times, lack of standardisation across the nonprofit organisation. Cleanse the data prior to a data conversion. Clean up poorly maintained pick lists/drop down tables. Get rid of duplicate table entries. 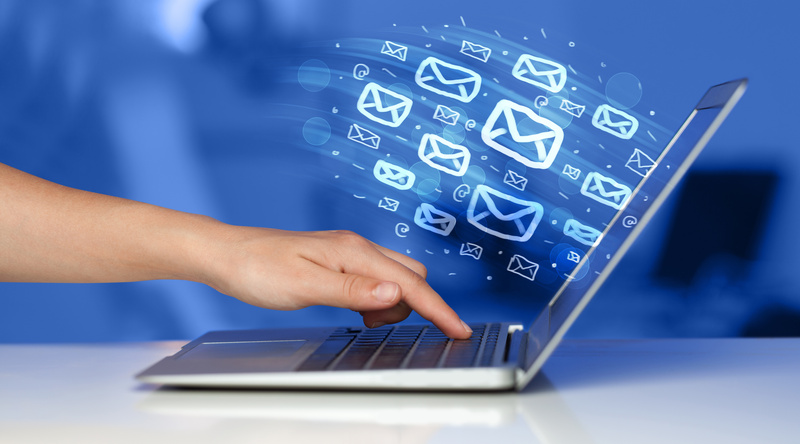 Ensure proper meaning for communications preferences and opt out coding. Create split record for spouses. Complete linkages for the spouses. Establish data policies and procedures. Create roles within the organisation specifically to oversee the data and your CRM. Perform address standardisation and address hygiene to capture new addresses for constituents your organisation may have lost. Acquire deceased and other opt out codes for your data set. When I discuss moving from one CRM to another, I offer the analogy of moving house from one city to another. Most would never pack everything owned and move things as is – only to open the door of the new home and have it look exactly as your old home in the old city. Instead, most would purge items no longer wanted, organise belongings before they are packed, and acquire new items when you move into the new home. Moving a database is the same process. Purge your organisation of unwanted items, organise the data in a systematic manner, and acquire new, meaningful data elements for the new “home”. Imagine you spend a year building out your CRM and taking the solution live. Doing so costs staff time (money), consulting fees (money), energy (money) and morale (money). Now imagine there is little usage of the CRM after Go live. That’s a lot of money spent for little return. As managers, we have a responsibility to provide the best tools and we also have a responsibility to ensure those tools are well utilised. You can buy someone a Mercedes Benz, but if they do not know how to drive it, do not drive it, and do not like to drive it you have wasted your money and effort. Conduct an analysis of use. Use your CRMs internal audit systems to see who is logging in, when they are logging in, how often and for how long. Most CRMs in the market allow administrators to view usage in these terms. Measure and monitor weekly. Conduct a survey of use. Understand what the users like, what they find clunky, and what they need now. Perhaps you did not consult with the end users when you designed the system? (That was a mistake). 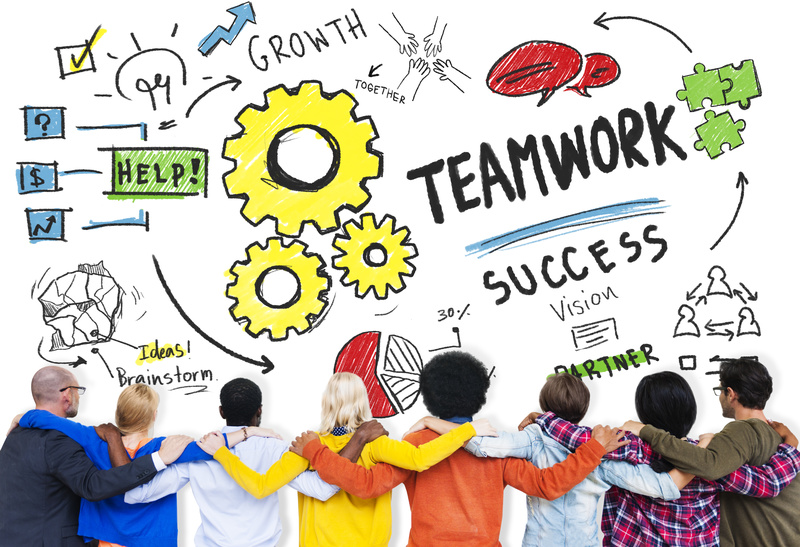 Perhaps you have a new team and their requirements and ideas are different than the previous team? (That’s natural). Perhaps your business requirements have grown and your system has not grown with the business? (That’s a good thing). Create a policy, which states only activities recorded in your CRM count towards performance evaluations. If activity is not recorded in the CRM and, instead, on an Excel sheet or in diaries, the activity did not happen. Your major gifts offices might conduct 10 donor visits in a month. If only one is recorded in the CRM, the major gift officer only conducted one visit. 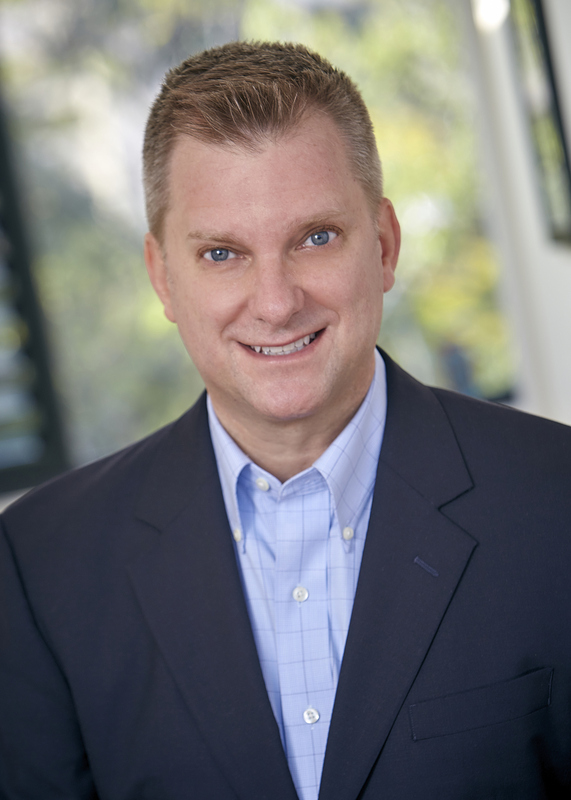 Implement the “phase II” items you never got to as part of the CRM implementation project. Every project has items that are not a priority at the time, but are placed on a “phase II” bucket list. Well, it is now phase II. It is sort of like the three cardboard boxes you moved house with, did not unpack the week you moved, and are still in your spare bedroom or garage. Unpack them! All of the above might be prevented through the original implementation of a CRM. Maybe or maybe not? Nonetheless, when the issue of lack of CRM use surfaces, you must get on top of it. Like any issue unattended, the issue only gets worse. It is at that point you become the issue. Having just attended the Fundraising Institute Australia (FIA) conference in Melbourne, I am reminded of the abundance of professional development opportunities we have available as fundraisers in this market. Here are a few upcoming conferences and learning opportunities available in Asia-Pacific. The FIA Conference happens annually in February or March and attracts more than 800 fundraisers, volunteers, and suppliers. Rich with content and networking opportunities, FIA Conference is the leading conference of its type in Asia Pacific. The 2016 conference offered 8 masterclasses, dozens of sessions across 6 tracks, and a wide range of networking over breakfast, lunch and cocktail receptions. FIA also hold the annual awards gala on the second night of conference. The 2017 Conference is scheduled for 22-24 Feb in the Gold Coast. Mark your schedule today. In Sept or Oct of each year, F&P Magazine offer a conference, which is a two-day conference with rapid and sequential presentations. Rather than a track format, F&P offer everyone the same presenters with all participants gathered in one room. This format ensures you do not miss a single presentation. F&P also offer a host of other conference events throughout the year. Focused on higher education, the CASE APAC is said to be the annual signature event in Asia-Pacific for advancement professionals from educational institutions working in alumni relations, fundraising, marketing and communications. This four-day conference is designed to equip delegates with knowledge, resources, best practices and to foster networking among like-minded professionals, exhibitors and sponsors in the educational industry. APAC is scheduled for 11-14 April in Hong Kong. Quite similar to the FIA Conference, FINZ offer New Zealanders with opportunities to hear international and domestic speakers. The FINZ Conference is scheduled for 13-15 April in Auckland. There’s something for everyone who works in educational advancement in this Conference. Whether you work on our own, as part of a large team, or as a volunteer on a fundraising committee, this Conference is designed to open your eyes, inspire and guide you. The EducatePlus Conference will take place on 7-9 Sept in the Gold Coast. Blackbaud have been holding conferences in Australia for a decade now. Many people believe BBCON is Blackbaud solely product focused. This is actually not the case. While one can certainly hear a lot about Blackbaud product at their conference, topics range from management, to fundraising, to data-focused. The Blackbaud Conference is scheduled for 1 and 2 August in Sydney. Webinars are a terrific and cost-effective means to gain knowledge on a topic without having to travel to another city or even leave your office or home. ConnectingUp and FIA offer regular webinars on a variety of topics and presented by international and Australian presenters. Each state FIA hold a plethora of professional development sessions. Most states have monthly events, which include breakfasts, lunches or evening networking events. These events are volunteer-driven and offer a wealth of content in 90 minutes. FIA and other organisations have special interest groups, which are fundraising area focused and offer an opportunity for fundraising specialists to gather to discuss successes and challenges in their area of the sector. Special interest groups focus on: Direct marketing, regular giving, major gifts, bequests, corporate partnerships, trusts and foundations, events, amongst other topic areas. You don’t see a special interest group focused on your focus area? Contact FIA and suggest one is started in your state. Get out there! There are plenty of fundraising professional development opportunities to absorb and enjoy. Blackbaud Conference (BBCON), 1-2 Aug, in Sydney. FIA Queensland, 19 Aug, in the Gold Coast. EducatePlus, 7-9 Sept, in the Gold Coast. Asia Fundraising Conference, 30 Nov – 2 Dec, in Bangkok. FundraisingForce works with many nonprofit organisations throughout the year to implement new CRM solutions. One of the things which make or break a CRM implementation is the level of expertise of the staff of your CRM supplier. FundraisingForce call this their bench strength. Why is CRM staff expertise so critical? What is make up of the parent company leadership? The make up of the leadership will often times speak volumes about the line staff. What is the financial strength of the parent company? By acquiring the new product, you are entering into a 7-10 year relationship. You want to ensure the parent company will be around for the long-term relationship. Who are the staff who will be assigned to your project? Meet the staff before you agree to the relationship. What is the background of each staff person? How well do they know the nonprofit industry? You likely do not want your organisation to be the nonprofit training ground for the team. How well do the staff know the product they are implementing? Understand the succession plan should someone from the team leave the organisation. What transitioning will be done should someone leave the team? There is a high level of turnover on these teams – nearly as much as nonprofit organisations face. Understand the transition plan should someone exit the stage. What sort of on-boarding processes exist? While there are no guarantees your nonprofit will still have the same team across the project, you will want to understand what processes are in place should a transition occur. This on-boarding process should be in place at your organisation and at the CRM parent organisation. Purchasing a new CRM is the single largest investment for most nonprofit organisations. You are not only purchasing product, but you are purchasing the expertise of the consultants who will implement the CRM. The product part of the decision is 65% of the decision while the consultant aspect is 35%. Organisations spend 90-100% of the time studying product functionality and 0-10% of the time focused on the expertise on the bench. This split needs to closer match the product/consultancy ratio. Spend 35% of the search time studying and interviewing the staff. This will be time well invested. On Sunday I booked a last minute trip on Qantas. I did not complete the reservation and went to other airline sites to shop around for a better deal. Moments after I closed out of the Qantas website, Qantas sent me an email asking me to complete the transaction. Why did I think this was so interesting? What can nonprofit organisations learn from this experience? 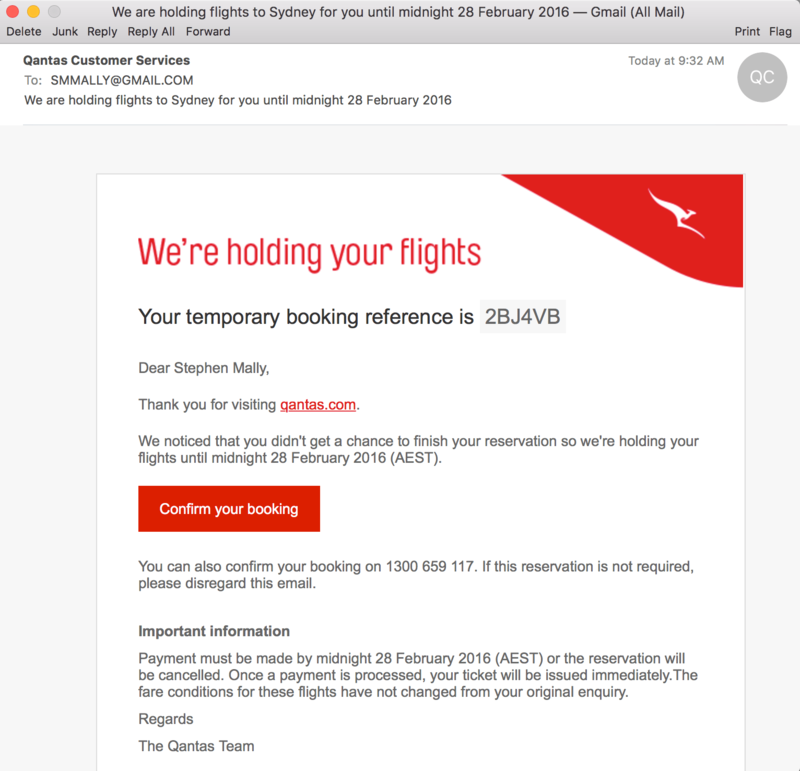 Clearly one has to be logged into a Website in order for the site owner to send a reminder similar to the one I received by Qantas. Yet, Qantas is taking the added step to ask me to purchase the airline ticket rather than lose me to another air carrier. There are plenty of charity sites where the donor may be logged in and where this functionality could be repeated for donors who do not finish the donation transaction. It is clever for Qantas or, in your case, your nonprofit organisation to put the transaction on hold and to send a reminder to the person to complete the transaction. I wonder what Qantas’ rate of recovery is for such transactions? I also wonder if any nonprofit organisations are using similar technology to recapture donations which would otherwise be lost? Why must CRM searches include requirements gathering? FundraisingForce receives about one call every seven to ten days from nonprofits asking for assistance to search for a customer relationship management (CRM) system. These nonprofit organisations are typically seeking our expertise to find the best CRM available in the marketplace. Some charitable organisations want to expedite the process, skip the homework and due diligence to be done, and simply want to have FundraisingForce tell them which CRM to purchase. As a firm, we decline to advise on a purchase until we gather the requirements of the charitable organisation and assist them to match those requirements to the available product in the market. Nonprofit organisations need to understand their own requirements. Your organisation’s requirements might be vastly different than those of another nonprofit organisation. 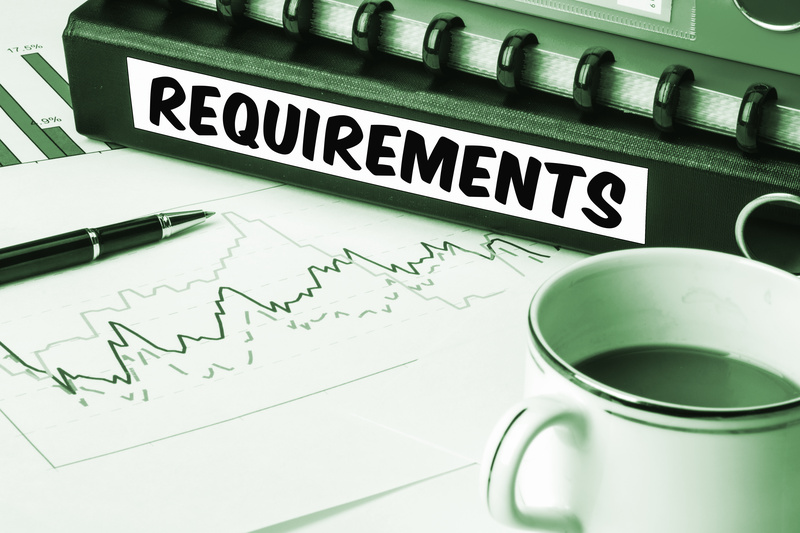 Sure, some requirements will be the same across nonprofit organisations. Nonetheless, your organisation likely has a set of unique requirements which need to be addressed in any CRM solution. It is critical these requirements are understood, from within and by FundraisingForce, before we can take your organisation to market. The market needs to be able to respond to your requirements and state why their product(s) are a match for your organisation. To go to the market without a full understanding of your requirements is a little like looking for a spouse before you know the type of person you are interested in dating. Many organisations have a difficult time expressing their own requirements. We believe this is because no one has ever taken the time to articulate the business requirements for the organisation and documented those requirements in a clear and cohesive manner. Understanding yourselves before finding the CRM partner is the first step in a successful CRM marriage.